I really didn’t think I could outdo last year’s Mother’s Day gift guide. It had so many beautiful gift ideas and you all loved it. But, I think this year I have just surpassed it. Just. What’s so wonderful is that more people are finding the value in good quality, ethical, hand-made products instead of cheap stuff that ends up in landfill. I also love supporting Aussie small businesses that are going against the grain and following their passion to create and provide us with unique and beautiful things. 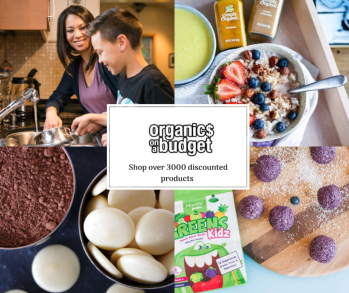 I have been able to get some discount codes on a lot of these gifts for you and really appreciate working with these generous businesses to show you their wares. This stylish light-weight cardigan is so versatile. You can wear it in all different ways and it’s perfect for breastfeeding and maternity wear too. The waterfall cut is flattering for all body shapes and ideal for a minimalist wardrobe. You can even wear it back to front! The cardy is ethically made from bamboo with a tiny bit of spandex so it’s super soft and comfortable to wear. Available in Indigo, Taupe and Black here. Want to win one for Mother’s Day? Corryn is giving away five cardigans! Enter here. 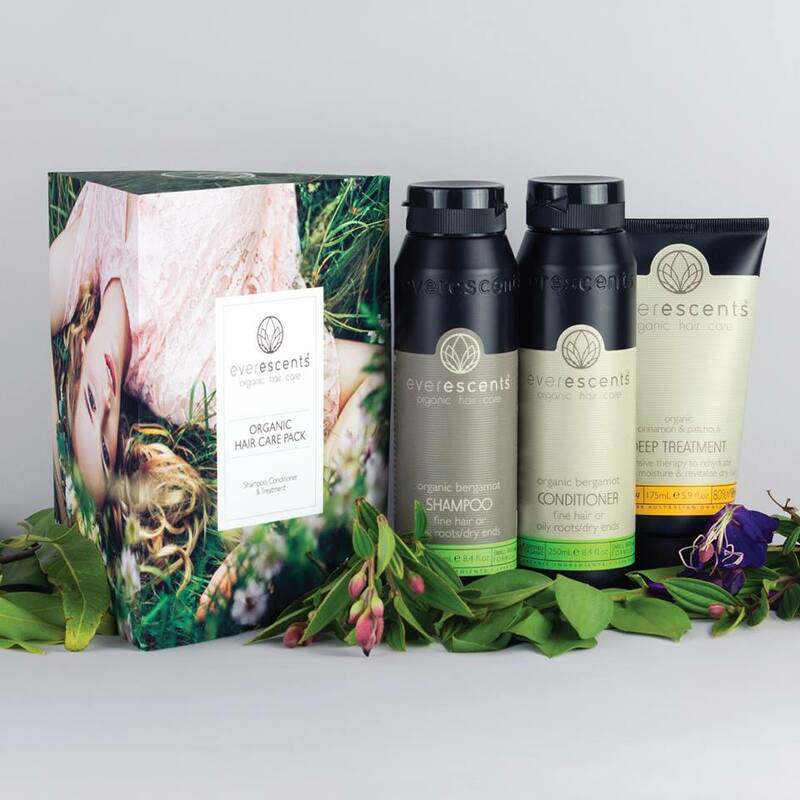 EverEscents have some beautiful Mother’s Day gift packs for your mum! Each one has an organic shampoo, conditioner and hair treatment in a cute gift box and there are seven different varieties to suit every hair type. Julia and her team at EverEscents has been handcrafting premium organic hair products on the Sunshine Coast in Queensland for over ten years. They are made with the high quality ingredients including plant extracts and pure essential oils. All EverEscents products are vegan friendly, cruelty fee and carbon neutral. Kailah at MG Naturals makes safe, nourishing, all natural makeup and her Green Beauty Kit is perfect for a Mother’s Day gift. You get a foundation, mineral powder, kabuki brush, concealer and a lip glaze. 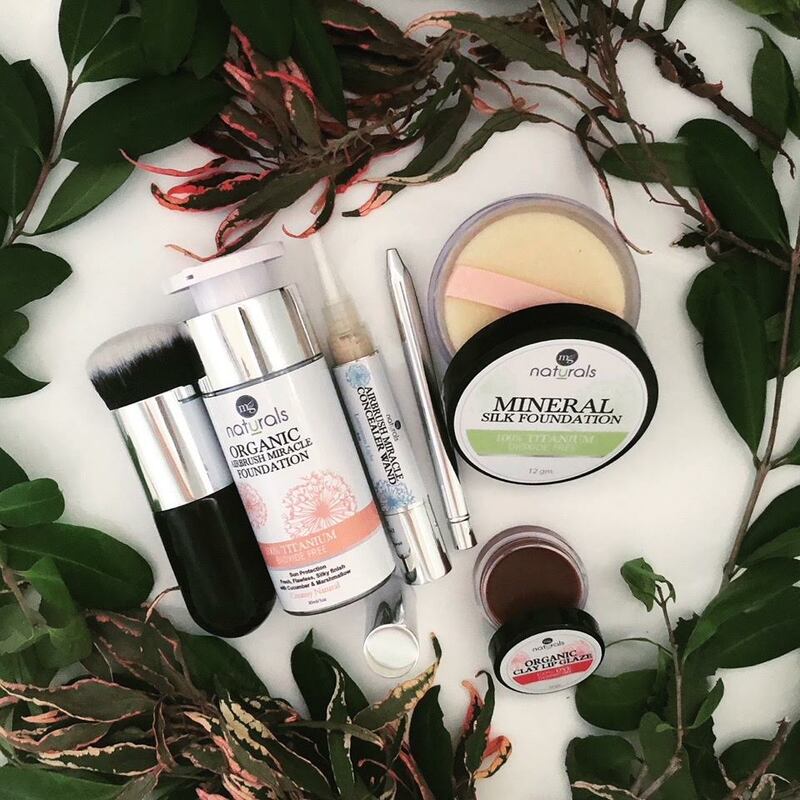 As well as being natural and toxin free, MG Naturals makeup is vegan, organic, cruelty free and titanium dioxide free. It’s designed to be soothing, hydrating and nourishing and help your skin instead of harming. I love this makeup – it feels beautiful on and you forget you are wearing it and it’s very affordable too. Kailah gives you free shipping when you spend over $95 and 10% off subscriber’s first orders. Check it out online here. Crystal from Ecology Skincare has some gorgeous pamper packs for Mother’s Day this year. Use this pack like a mini day-spa experience at home! 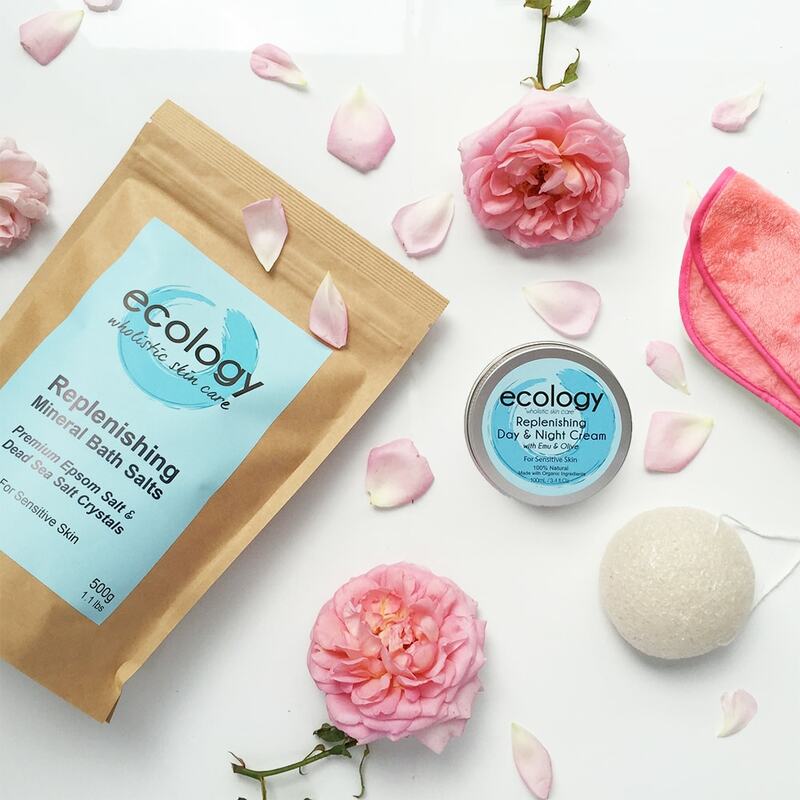 Start by removing makeup with the Microfibre Makeup Removal Cloth, relax in a hot bath with the Replenishing Mineral Bath Salts, gentle cleanse your face with the Facial Konjac Sponge and finish off by massaging the Replenishing Day and Night Cream all over your face and body. Heaven! Everything is packaged in a beautiful gift box and at a discounted price. Get the pamper packs from Crystal here. Simmi The Aromatherapist is my go-to person for all things aromatherapy. She has decades of experience in the industry and a beautiful connection and deep understanding of oils. Her bagel diffusers are a gorgeous gift for mums that love their essential oils. There are a few different styles to choose from – dark wood, black, white and my favourite – this light camel wood colour. They are super stylish and are a feature piece of decor in themselves. 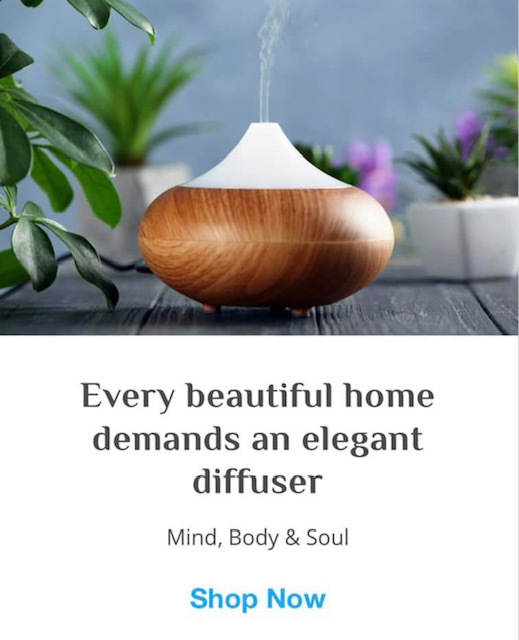 The diffuser uses ultrasonic waves to diffuse oils, not heat and it shuts off as soon as the water runs out, so it’s super safe. Make sure you also check out her beautifully blended pure essential oils too. 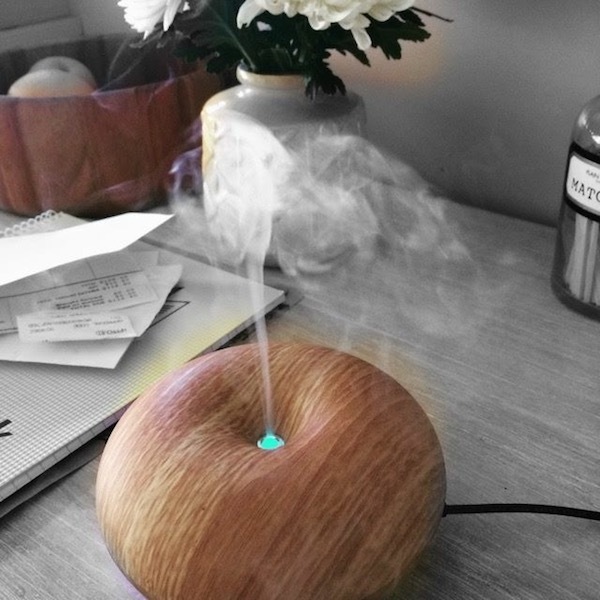 Simmi is kindly offering all of us a free sample of her Love blend of essential oils (a very exquisite experience with pure rose oil) with every bagel diffuser. Just use the code: FREELOVE here. For a really unique gift for Mum, check out these UFO drums from music therapist, Allison Davies. 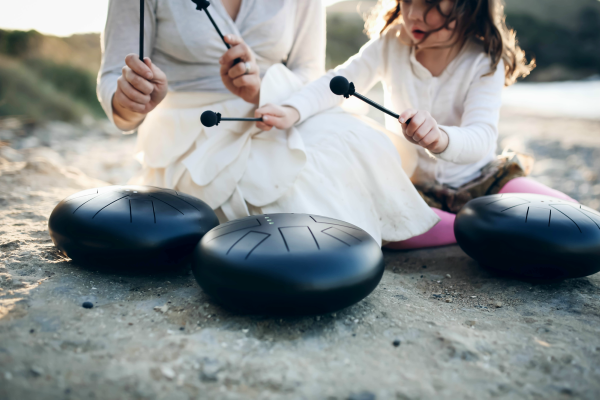 Not just for making beautiful music, the UFO drums also have therapeutic benefits of meditation, mindfulness, relaxation, self-expression and vibrational realignment. The UFO drum is a modern tonal tank steel drum from the same family of instruments as the Tibetan bowls and bells. You can play it with your hands or mallets. Each petal of the drum is specially tuned so that it will always sound harmonious. So even non-musical people can play it without any learning or practice!! They are travel-friendly and light weight and available in three different version, each tuned to different musical keys – Full Moon, Sunrise and Sunset. Each drum comes with a carry bag, mallets and a soft stand. Alli is so kindly giving us all an exclusive 10% discount and FREE shipping in Australia. Use the code: NNAMUFO until the 13th of May here. Kylie Johnson is a hugely popular Brisbane artist and poet. I have one of her poetry books and it’s just divine. 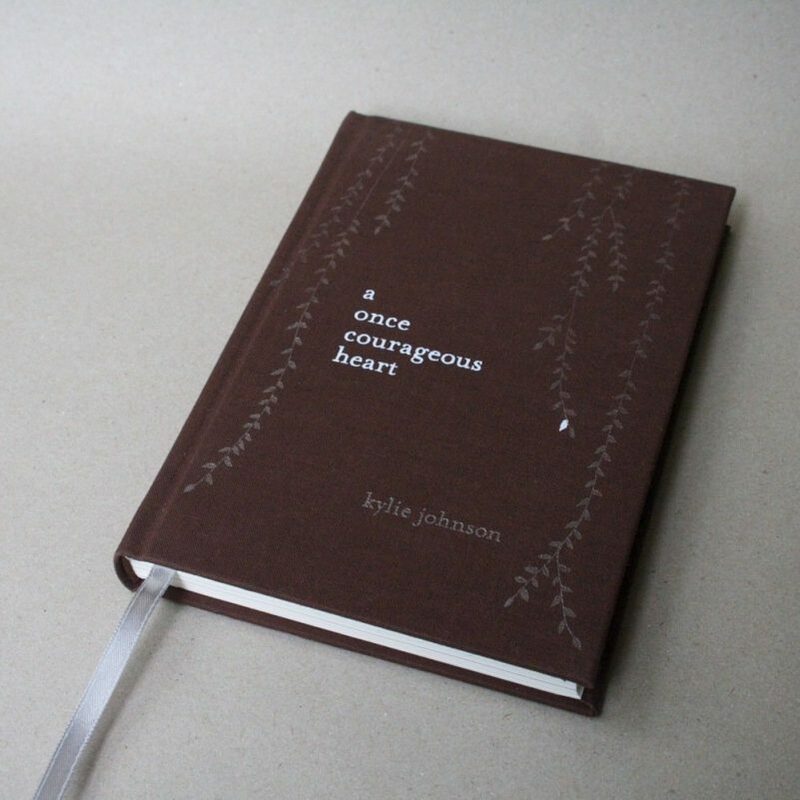 A Once Courageous Heart features poems which are both whimsical and profound in their exploration of love, loss and hope, and all that it is to be human. The book features a beautiful fabric cover and is printed on 100% recyclable unbleached paper. Truly something for a mindful moment with a cup of tea. 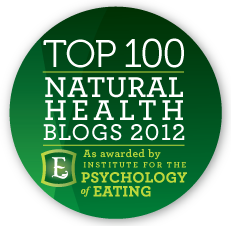 Get 10% off until the 13th of May with the code: NNAM-MUM10 here. Update: Currently out of stock at Biome Eco Stores, but you can purchase directly from Kylie here. I love these body bars from Natalie at Lhami for a gift that’s a bit different. It’s like bar of soap but it’s moisturiser! Cool, huh? 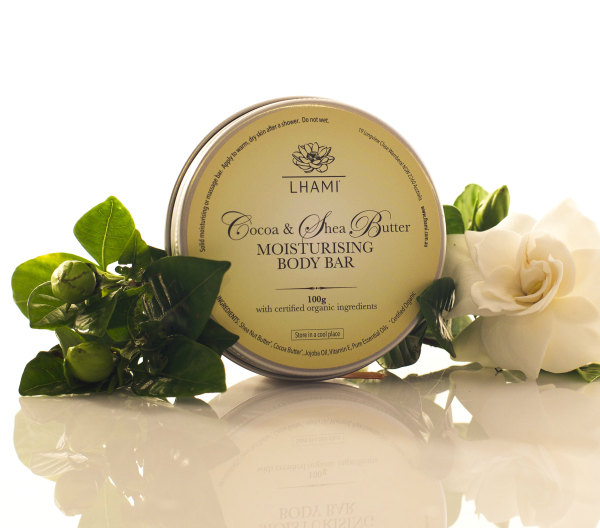 These lush body bars melt on contact with the skin and double as a massage bar and deodorant! Intensely nourishing, it has a base of shea butter, coconut butter and jojoba oil. There are two fragrances which feature 100% pure essential oils – Lime and Patchouli or May Chang. It also comes packaged without plastic in a reusable tin! Get 10% off the body bars with the code: NNAM until the 13th of May here. 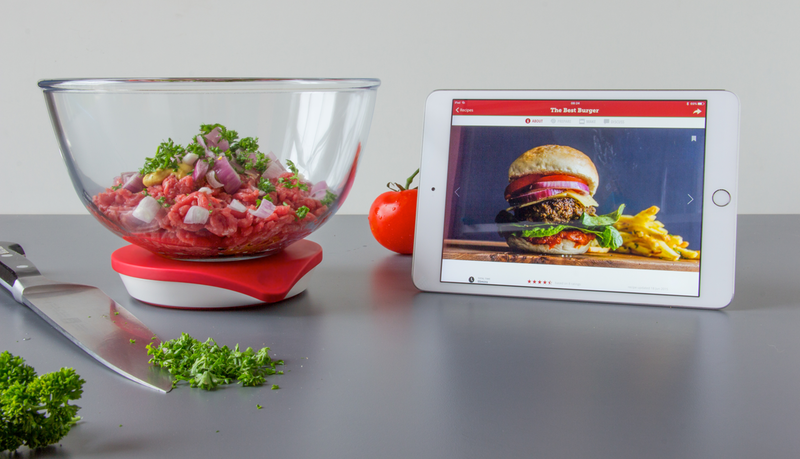 Technology that helps you cook! The new Drop Scale is taking Australia by storm. Connecting via bluetooth to your iPhone or iPad, this ingenious little scale makes cooking easier and fun. Follow step by step instructions and weigh your ingredients as you go. It’s almost like having your mum on hand to help you cook because it will also give you suggestion for substitutions and scale the recipe according to how much of an ingredient you have. There are hundreds of step-by-step easy, one-bowl recipes to access via the Drop Scale App (which is free!). You actually need to watch the video to really see how cool this scale is. Mandy is kindly giving us all a massive 25% discount and free shipping until the 13th of May with the code: NNAM here. 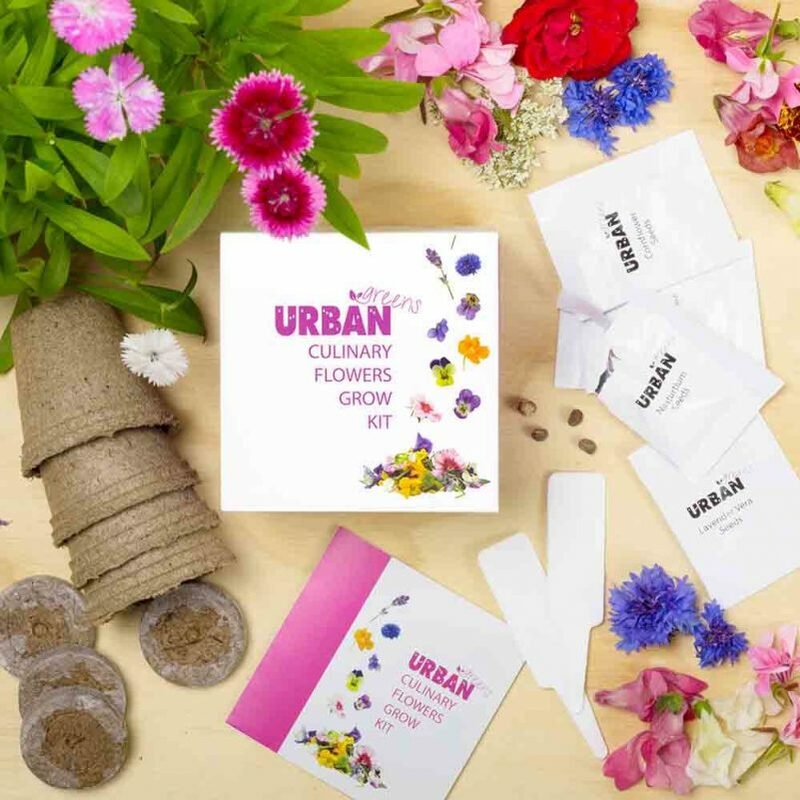 How cool is this – a kit to make edible flowers! Of course you don’t have to eat them, you can just enjoy their beauty, but it’s so fun. The kit comes with pots, labels, seed disks and an instruction and recipe booklet to grow cornflower, lavender, nasturtium, violas and dianthus. The amazing Aussie cookware that everyone is drooling over now has a 36cm bigga skillet. 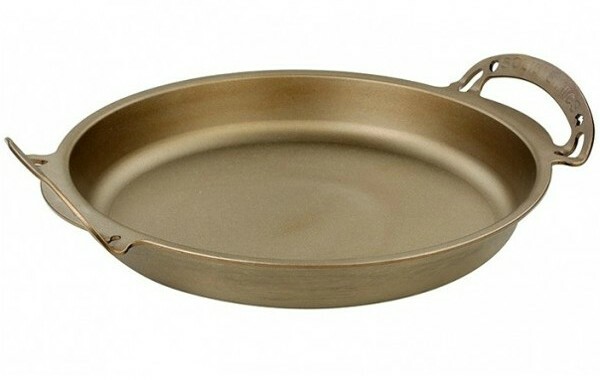 This deep pan is brilliant for things like curry, spaghetti, roasts, deep dish pizza, paella – the list goes on and you can even cook a cake in it! These pans are designed to last for many generations, are made from seamless wrought iron and are non-toxic and non-stick. Get 10% off the whole range until the 13th of May using the code: NNAM-MUM10 here. If your mum is a nature lover, she is going to adore this hand-made bee house! These bee houses are special in so many ways. They are hand-made in Brisbane using recycled pallets and weed bamboo by a local Men’s Shed. The bee house helps native bees find a safe, secure place to hang out and raise their young. Hang it outside in a sheltered spot and wait for the bees to come. Get a 10% discount until the 13th of May with the code: NNAM-MUM10 here. 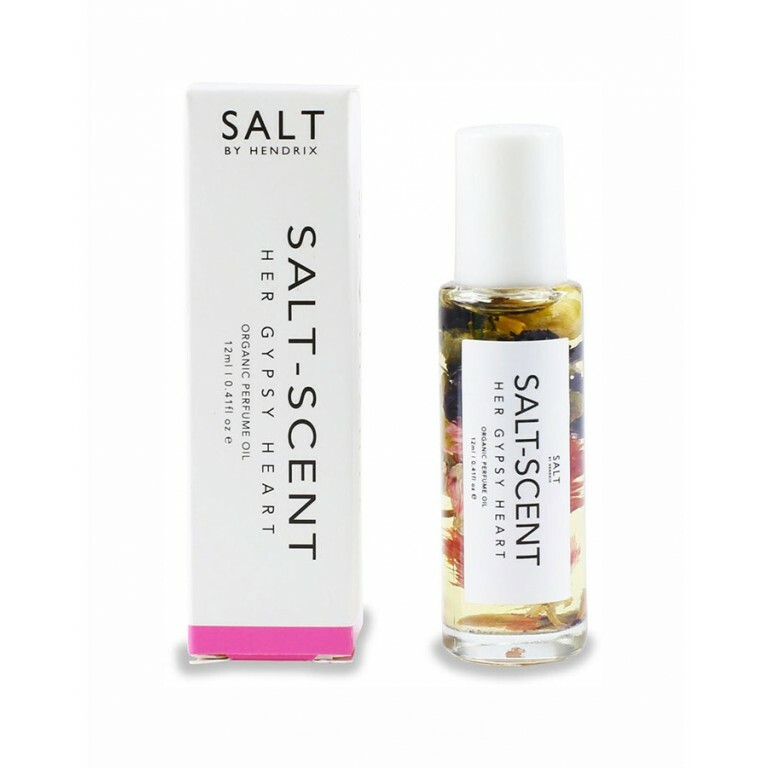 Her Gypsy Heart roll-on organic perfume has a delicious floral scent with notes of rose, neroli and jasmine. It features pure essential oils and nourishing plant-based oils in a glass roller bottle. Heavenly! You honestly didn’t think I wouldn’t have chocolates somewhere on this gift guide, did you? I am so excited about these gorgeous handmade chocolates from Jane’s Addiction. They are really something very special and exquisite. Jane (a natural, new age mum from Perth) lovingly hand-makes organic, raw, vegan chocolate and infuses them with flower essences! Her special Nourish and Nurture gift box is for mums who are always giving to others and deserve some special love. 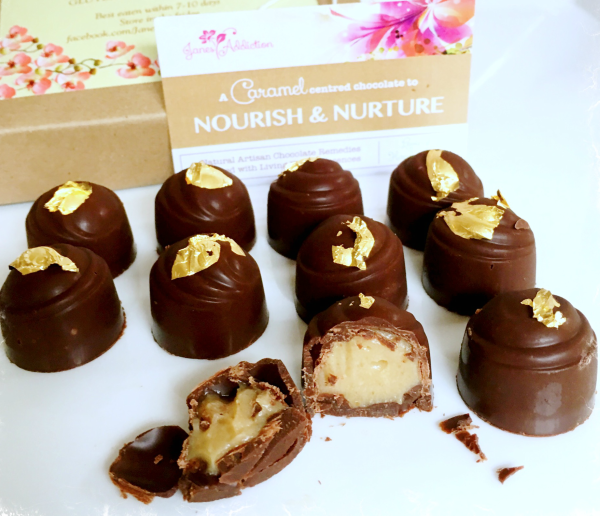 Each chocolate has a soft, raw caramel centre infused with essences of Goddess Grasstree, Leafless orchid and Pink Everlasting flower, all topped with edible 24k gold leaf. Divine! Jane will post all over Australia with a cold pack so your choccies arrive in perfect condition. Check them out here and shoot Jane a Facebook message to order. 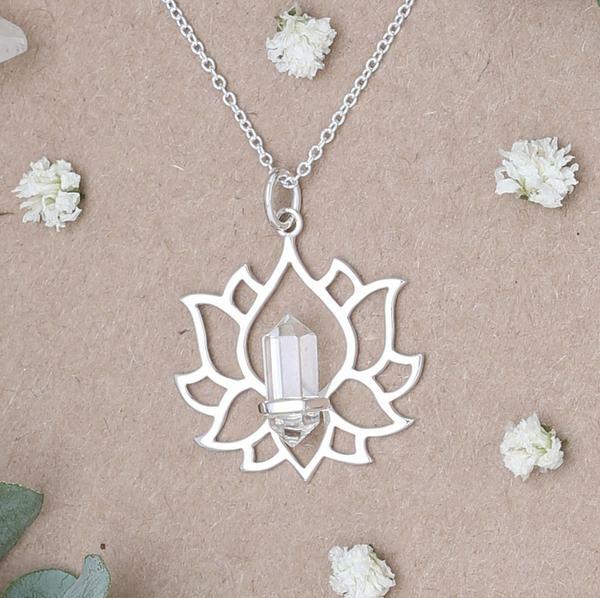 This gorgeous sterling silver lotus necklace has a clear quartz crystal and an extendable chain. Clear quartz is a powerful healing stone that protects against negativity, attunes to your higher self, and relieves pain. Just one of the many beautiful and affordable pieces at Midsummer Star. Use the code: TAKE10 for 10% off here and check out the sale category too. 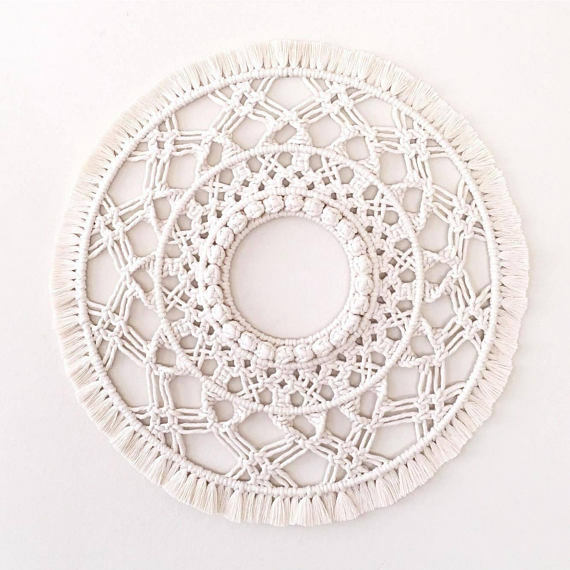 I might have a slight obsession with mandalas and macrame so when I saw this I was instantly in love! It’s hand-made by Jessica at Wild Clove Co, an Aussie mum from Adelaide. Jessica only uses 100% natural, unbleached organic cotton. This beautiful mandala wall hanging would look great in the bedroom, lounge or workspace. Get it online here. I am a huge fan of the lovely Martyna Angell. Her recipes are delicious, healthy and wholesome. 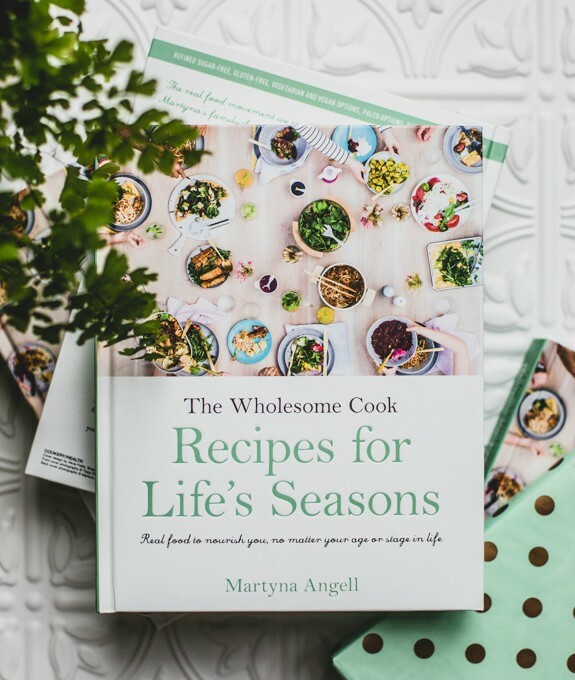 She has released a brand new cookbook – Recipe for Life’s Seasons just in time for Mother’s Day. Martyna focuses on bio–individualism and all recipes emphasise seasonal whole foods with a focus on fresh fruit and vegetables. Get it here. Fiona at Lemon Canary on the Gold Coast makes the most amazing aromatherapy candles. I love these one of a kind vintage jars she sources – imagine the history! 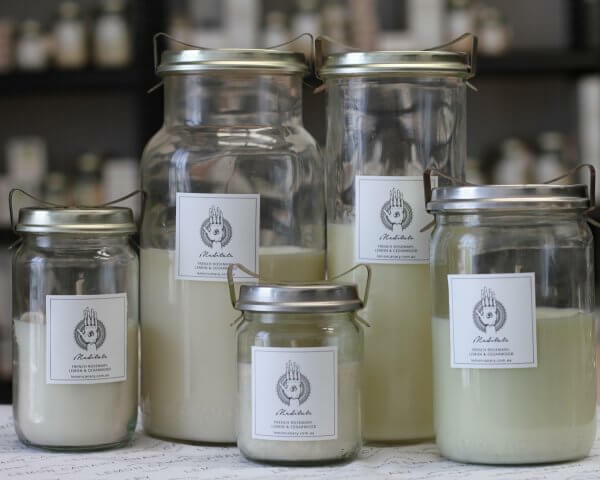 Fiona has a whole range of candles and products with just 100% pure essential oils (I recommend those instead of the fragrance oils). The Meditate blend is one of my favourites and has a luscious blend of cedarwood, lavender, lemon, frankincense & rosemary. Available in all different sizes and in other gorgeous blends as well. Also check out the gorgeous hampers. There is FREE shipping in May with the code: LOVEYOUMUM here. 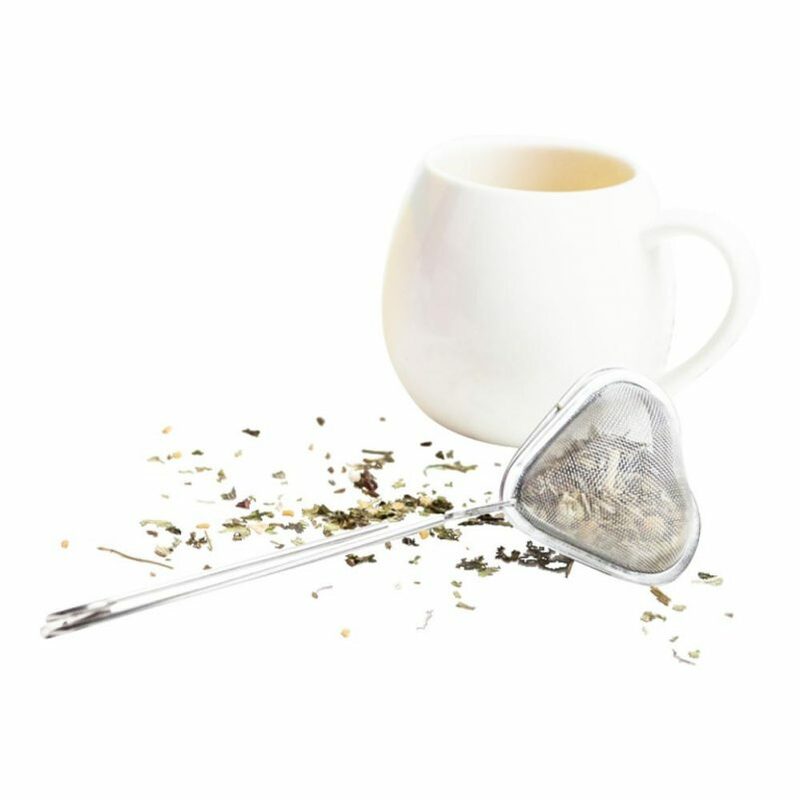 This gorgeous heart-shaped infuser from Mama Body Tea is great for mums who love their tea. I only ever use loose leaf tea now because so many tea bags contain plastic. It tastes better too! Also check out the lush Mama Body Tea loose leaf blends. Get the infuser online here. 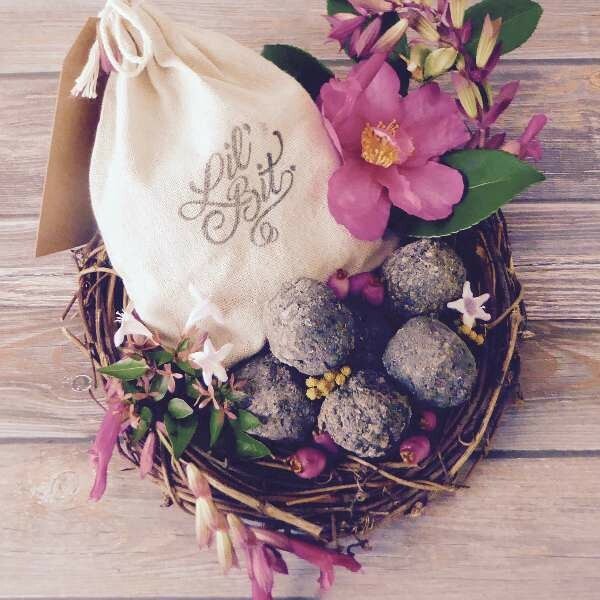 Perfect for the nature lover, these seed bombs are balls of organic matter with flower seeds. Throw them anywhere you would like some colourful flowers to come up! There are 6 seed bombs in a linen drawstring bag that will bloom into a stunning mix of organic annuals. They are designed to provide bees with a healthy habitat so they can collect pollen and nectar for the hive. 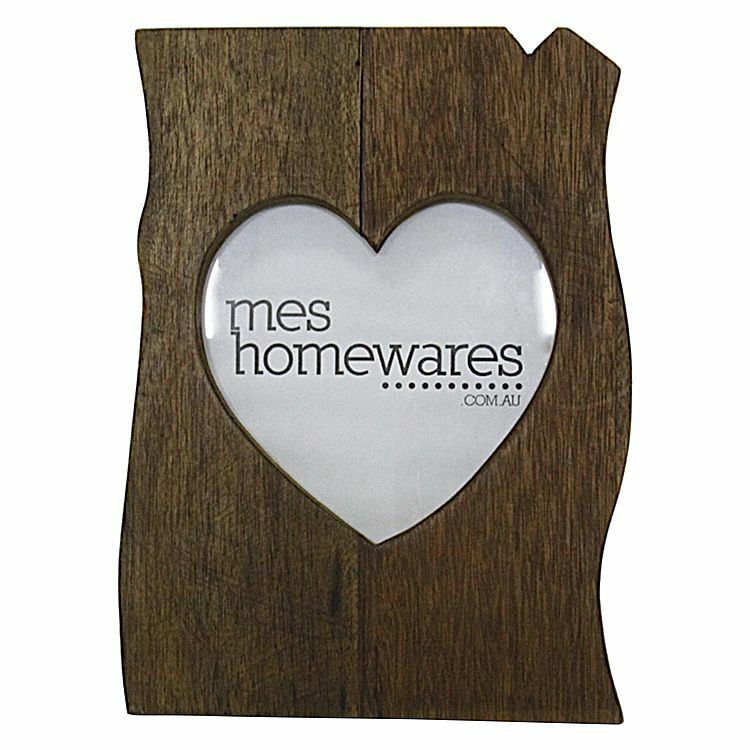 How gorgeous is this heart photo frame from Mes Homewares? It’s made of wood and cut rustically for a natural look. Don’t give mum toxic perfumes that will harm her health! There are so many beautiful natural perfumes to choose from. Check out some of my favourite books for Mum this Mothers’ Day. 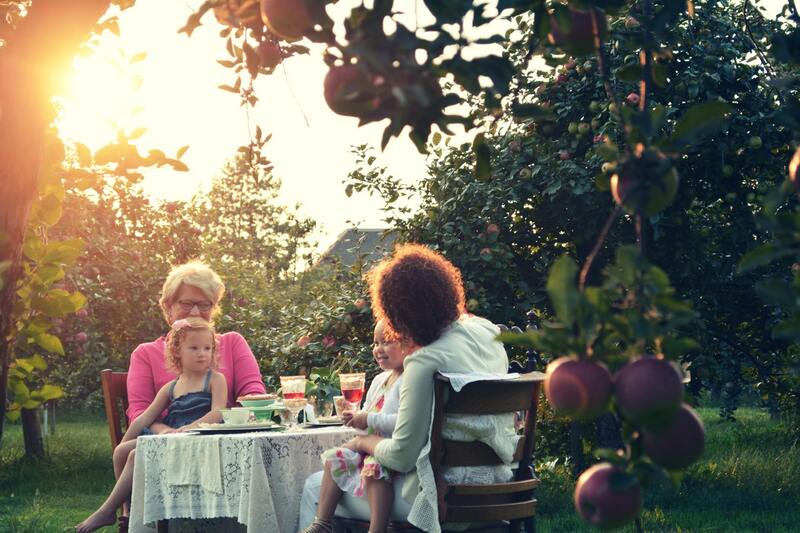 See past year’s Mothers’ Day gift guides here. Check out my eco-friendly gift wrap ideas. 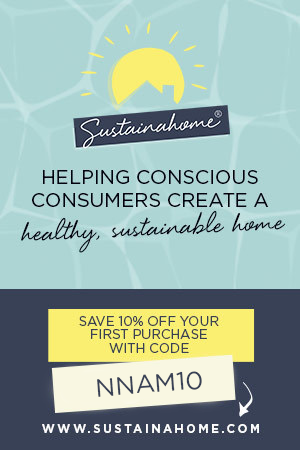 Get 10% off storewide at Biome Eco Store with the code: NNAM-MUM10 here. Expires 13th May. Get 10% off all the Mother’s Day gifts at Flora and Fauna, use the code: LOVEMUM here. Expires 12th May. Get 20% off Vapor Beauty with the code: LOVEMUM20 here. Get 30% off Dear Addison jewellery with the code: DEAR30 here. Get 30% off Pastiche jewellery with the code: MUM30 here. Get 30% off and FREE shipping for KitchenAid stand mixers here. Love your mother’s day gift ideas. 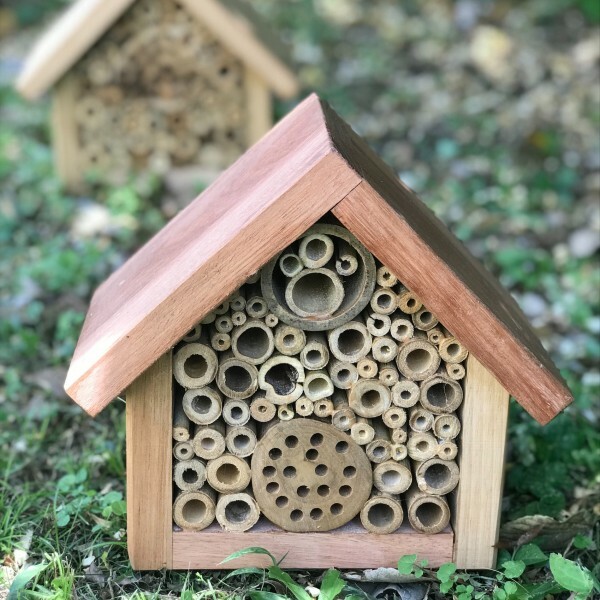 I am wanting to purchase a bee house but I can’t seem to get the discount code to work. Any hints? Hi Vanessa, are you using NNAM-MUM10 ? Someone else has said the same but I have checked with them and checked it myself and it’s working? Fantastic list! Swooning over the choccies and the Solidteknics Pans.